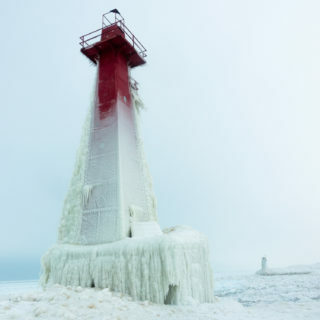 Ludington, Michigan Winter Getaway: What to See, Do and Eat: a travel guide on what to see, do and eat in Ludington, Michigan during the winter. 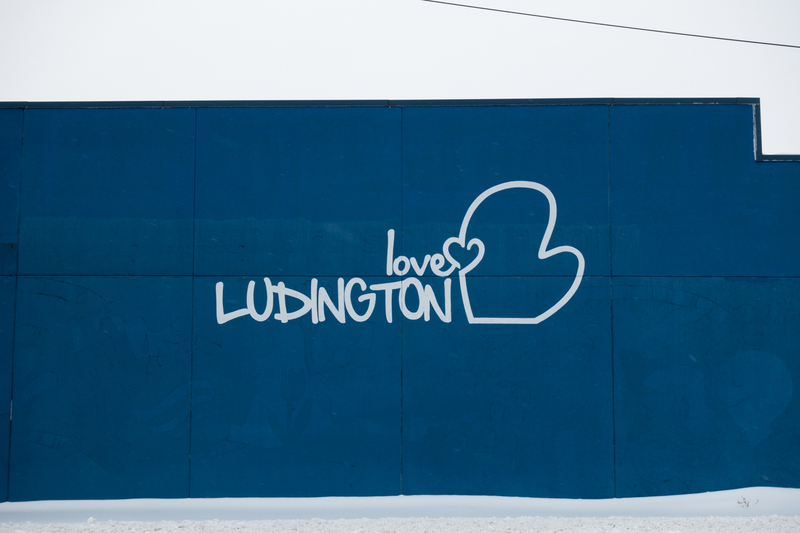 Ludington is a charming harbor town located along Lake Michigan. 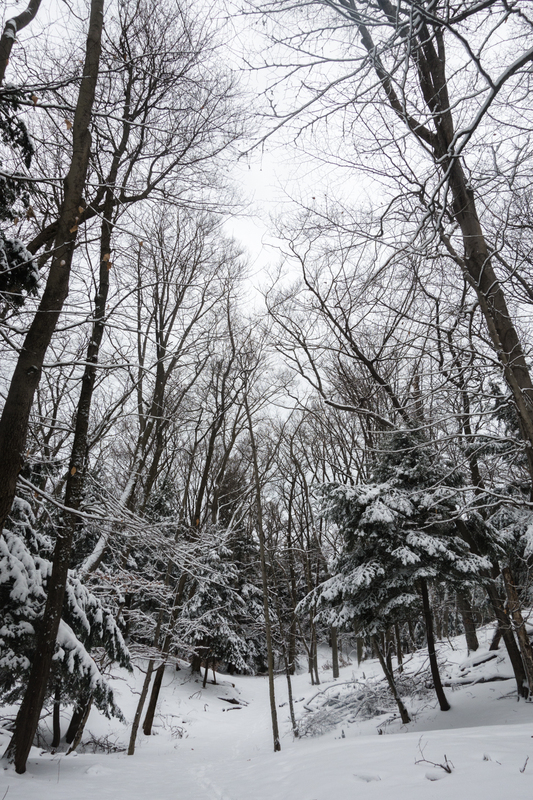 It is about an hour and half away from Grand Rapids, making it perfect for a winter getaway. Traditionally, Ludington is a summer travel destination, but the off-season has so much to offer. From outdoor adventures, family fun, to a relaxing romantic getaway, Ludington offers something for everyone. 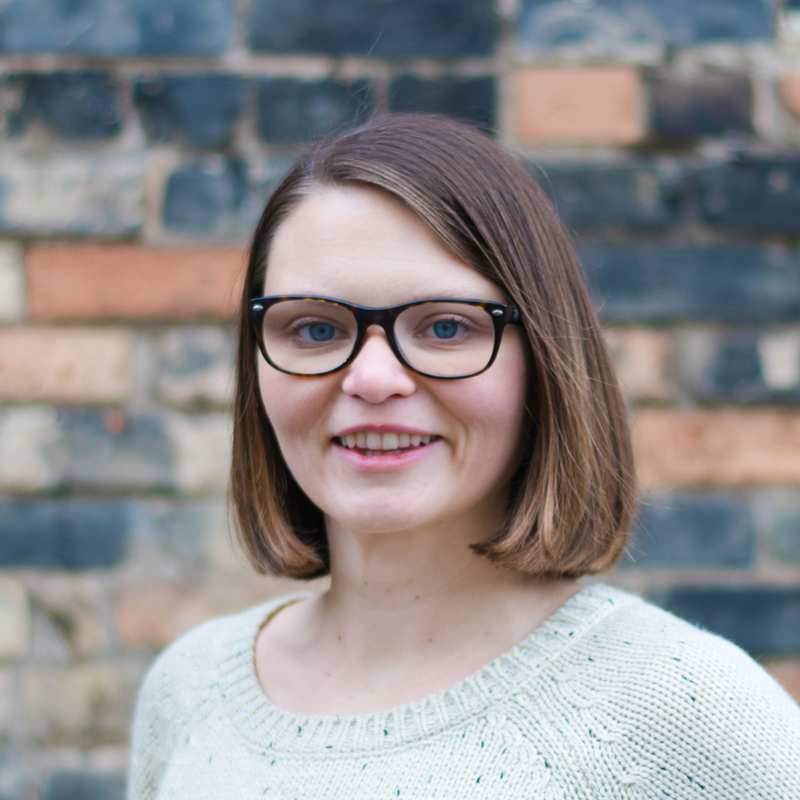 Earlier this month, I headed up to Ludington to explore the beach town during the winter and I thought that I’d share some of my favorite things to see, do and eat. Outdoor enthusiasts flock to Ludington State Park year-round. The park offers nearly 5,300 acres of scenic sand dunes, ponds, marshlands and forests. It is easy to see why the park is one of Michigan’s most popular state parks. 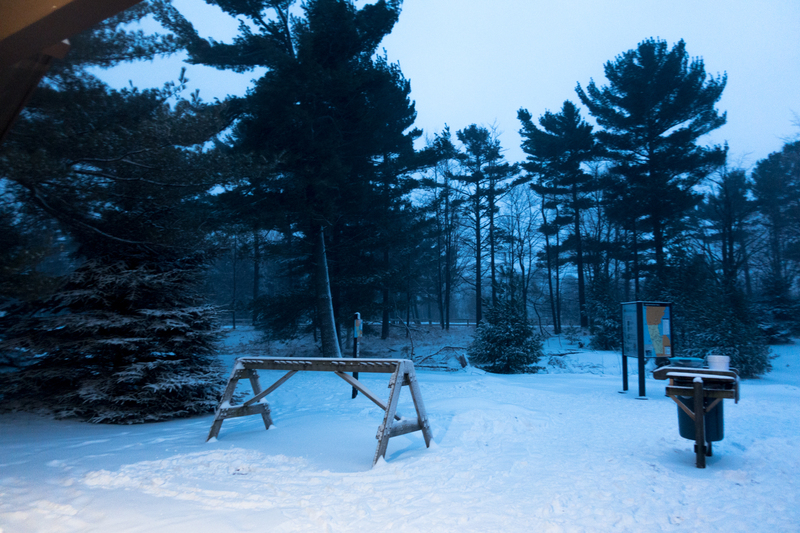 Even in the winter months, the park offers a wide range of activities. 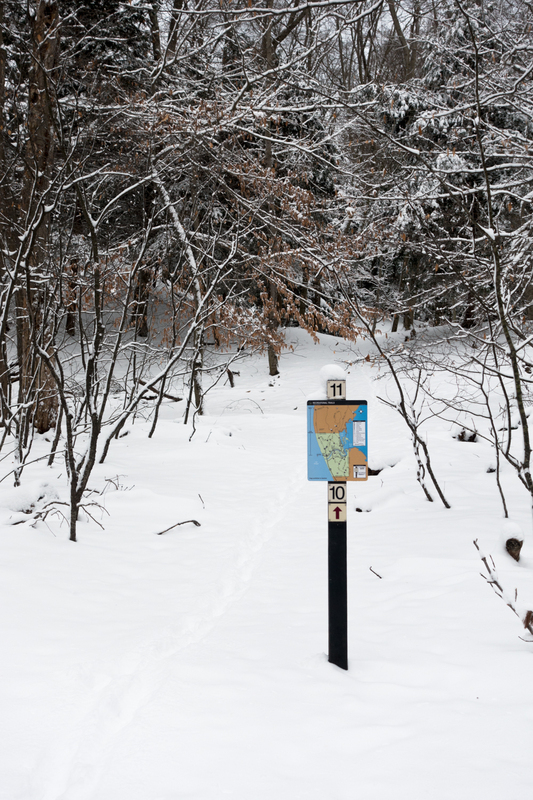 Whether you cross country ski, snowshoe, or ride fat tire bikes, Ludington State Park is the perfect place to hit the trials. 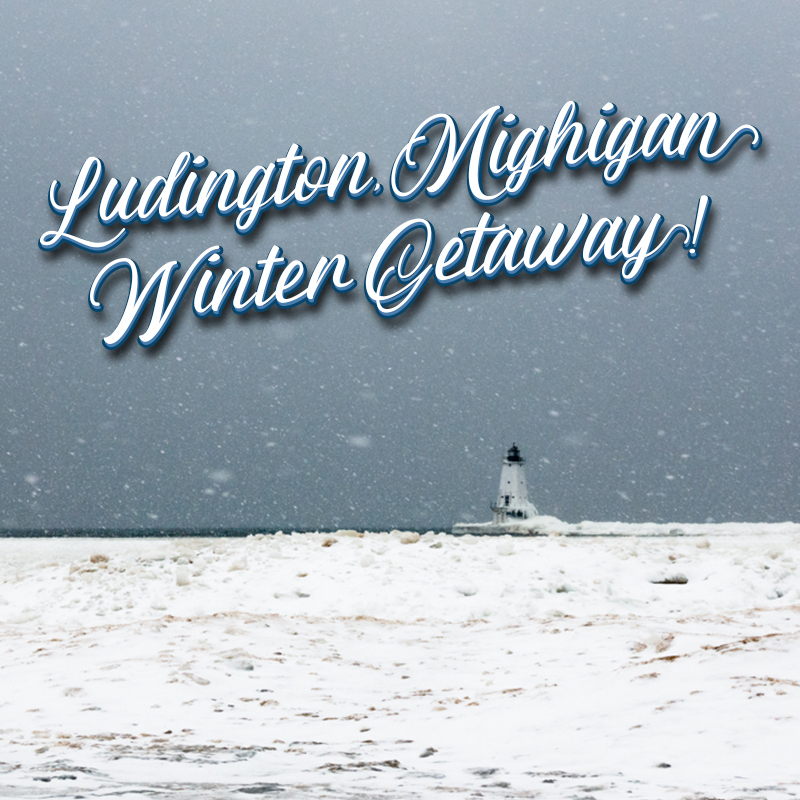 During January and February, the Ludington State Park offers a Lantern-Lit Skiing & Snowshoeing event. The event is completely free; you just need a recreational passport to enter the park. If you’ve never snowshoed before, this a great event to try it out! You can go at your own pace and take your time on the lantern-lit trail. 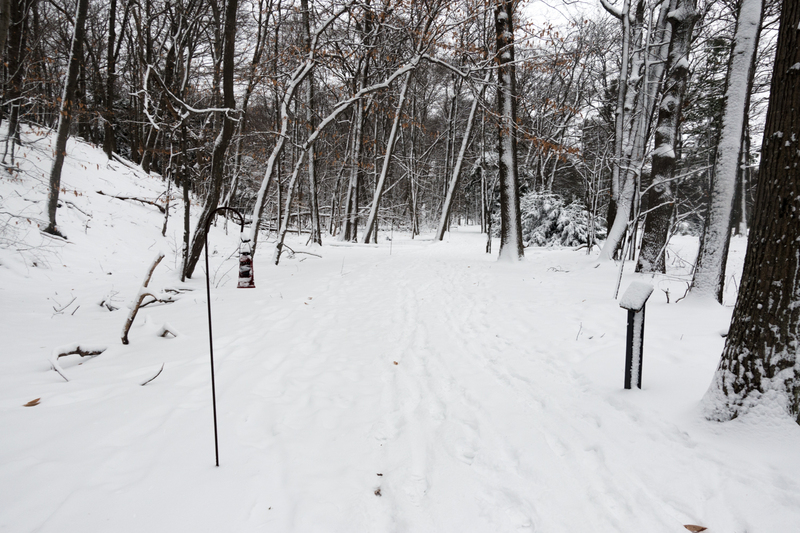 Don’t worry if you don’t own snowshoes. The park offers 50 pairs for free on a first-come, first-serve basis. The trail is only 3/4 of a mile long, making it perfect for beginners. 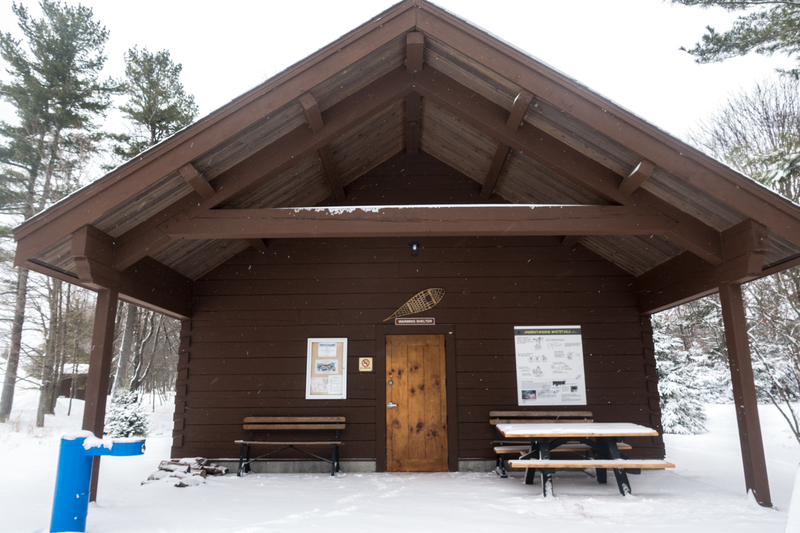 The event starts at the warming shelter, located just inside the park entrance. The craft beer scene in Ludington in booming. While visiting Ludington, make sure to stop at one of the local craft breweries: Ludington Bay Brewing Company, Starving Artist, and Jamesport Brewing Company. 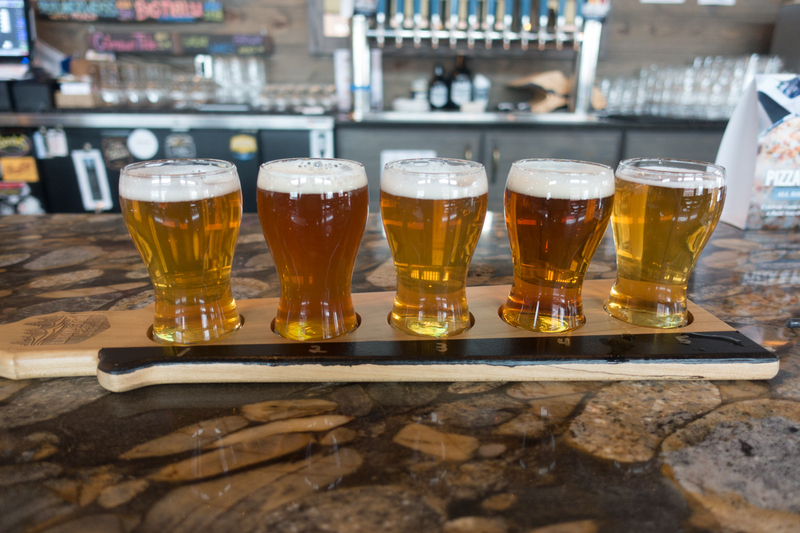 Stop by one of these local craft breweries and taste some of the best craft beer around. For more information on the breweries, be sure to check out my post on the craft beer scene in Ludington! 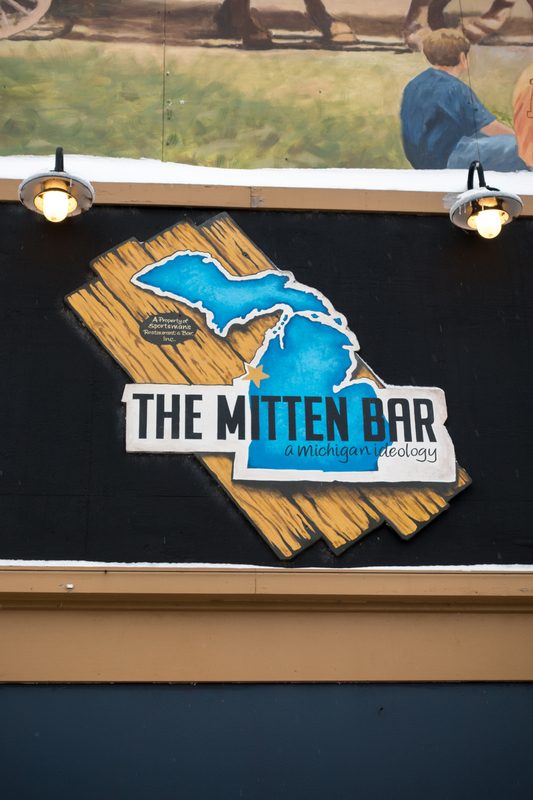 At the Mitten Bar, you’ll find only Michigan made drinks. 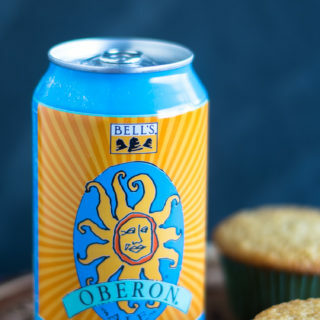 From beer, ciders, wine, and liquor, sample what Michigan has to offer. The Mitten Bar also hosts live music on certain weekends. Check their Facebook page to see the performance schedule. 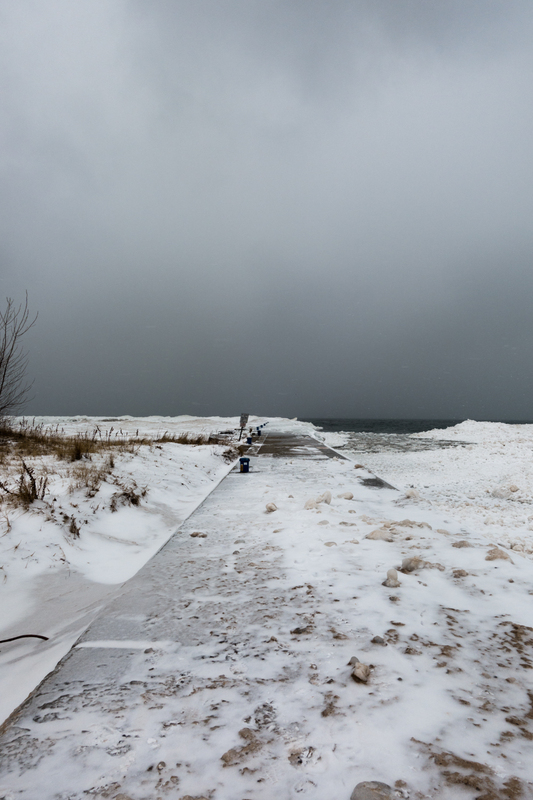 Located in downtown Ludington, Stearns Park Beach is one one of Ludington’s main beaches. It’s the perfect spot to watch the sunset too! 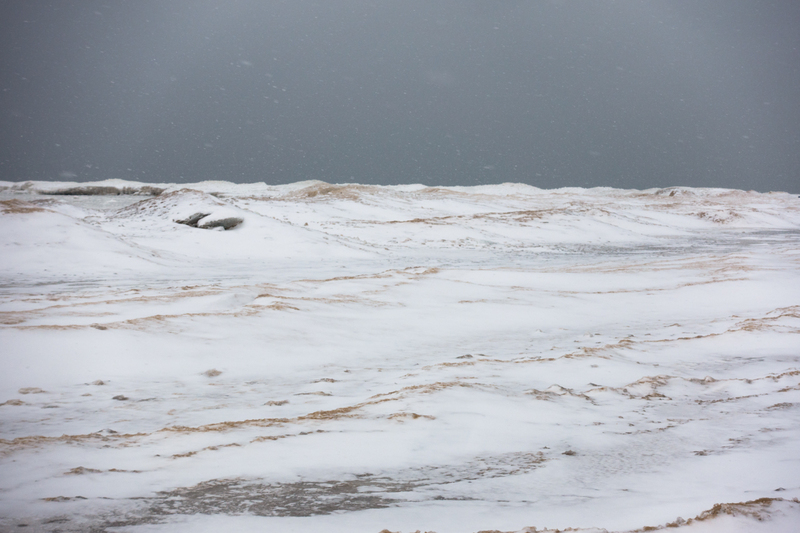 I love visiting Michigan beaches during the winter months. The water freezes and it is just breathtaking. 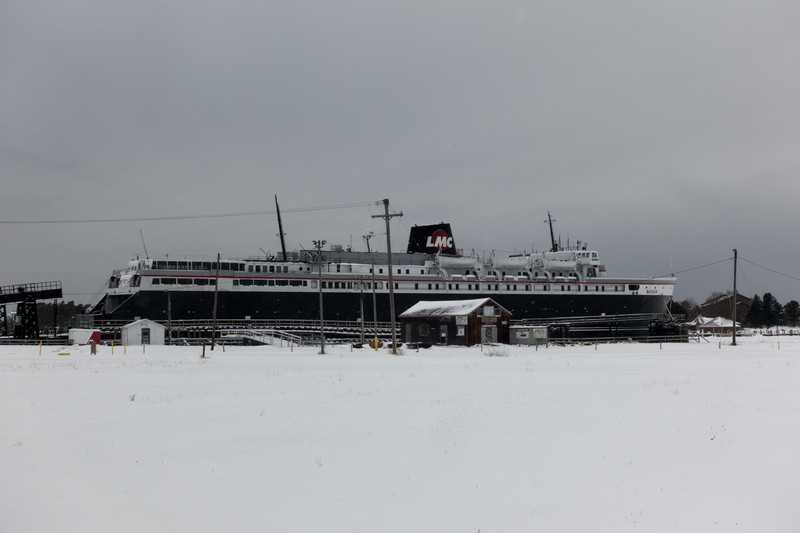 Ludington is home to the last coal-fired steamship. In 2016, the ship was officially designated as a National Historic Landmark. 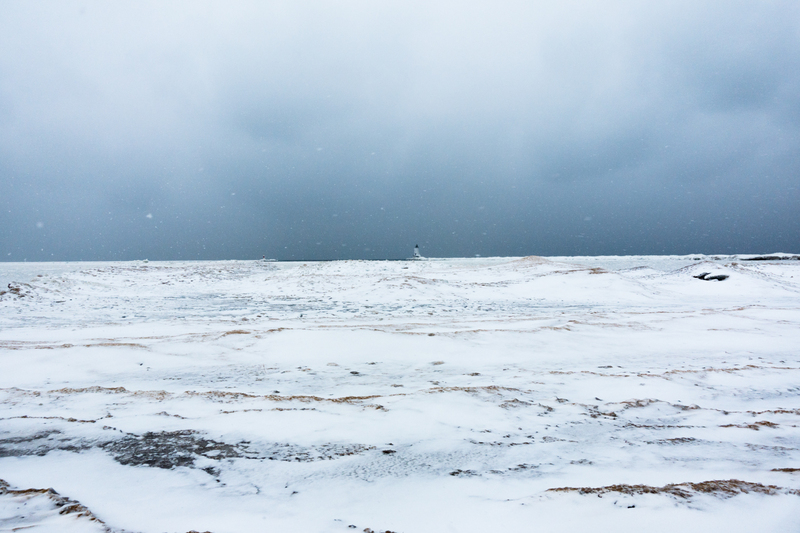 From mid-May to mid-October, the ship sails daily between Manitowoc, WI and Ludington. You can step back in time and ride the S.S. Badger. Even though the ship might not be running in the winter months, it is still neat to see the ship docked. 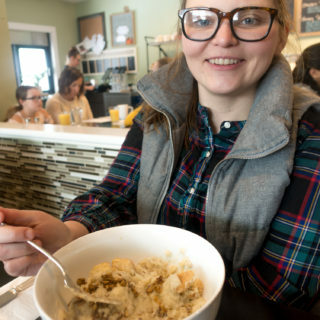 Finding vegan options in small beach towns can be difficult. 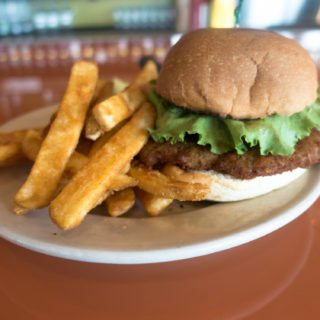 Luckily the Blu Moon Bistro offers vegan options right on the menu. 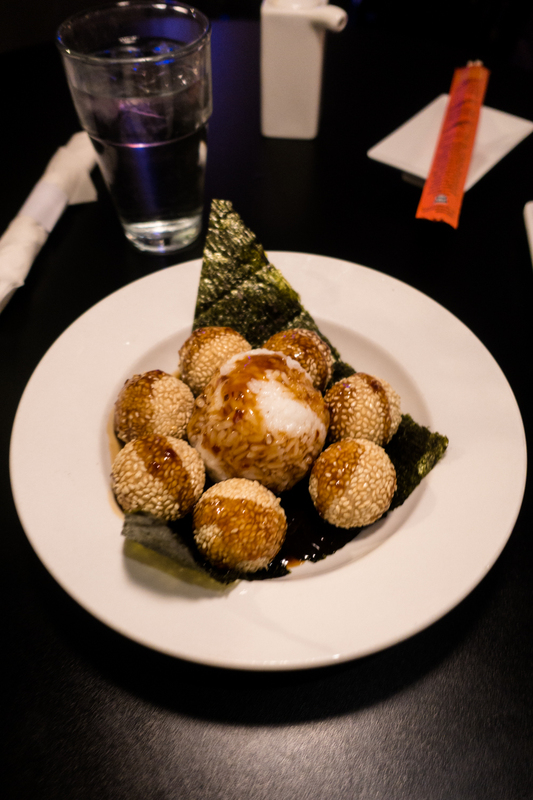 I ordered the sesame balls, which were perfect after snowshoeing. 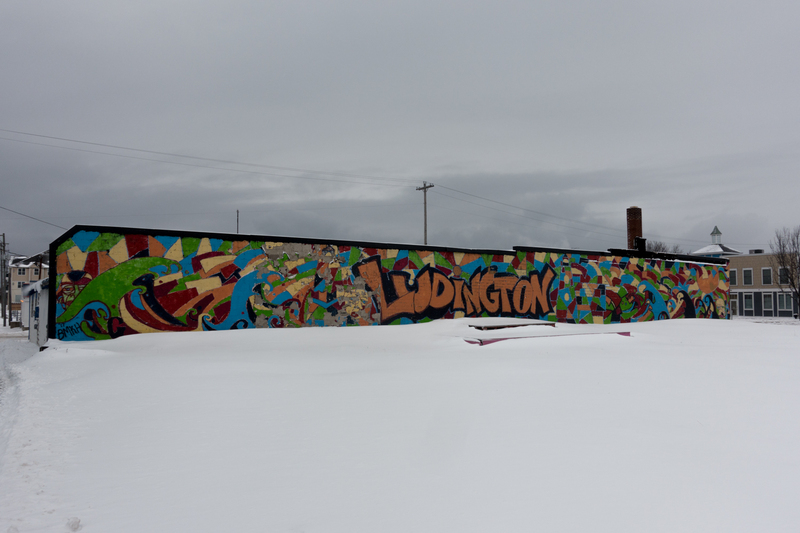 Downtown Ludington offers a plethora of shops, galleries, and restaurants. 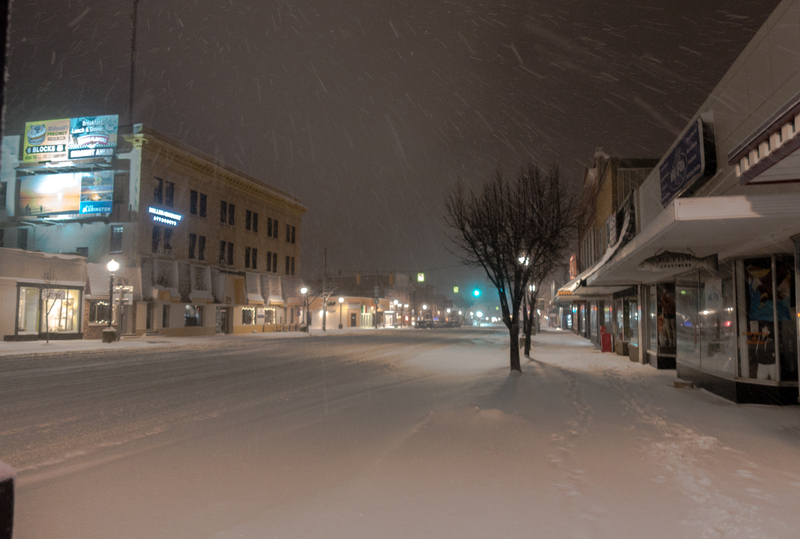 I loved walking downtown in the snow. It was just so beautiful and peaceful. Ludington offers a wide range of lodging options. 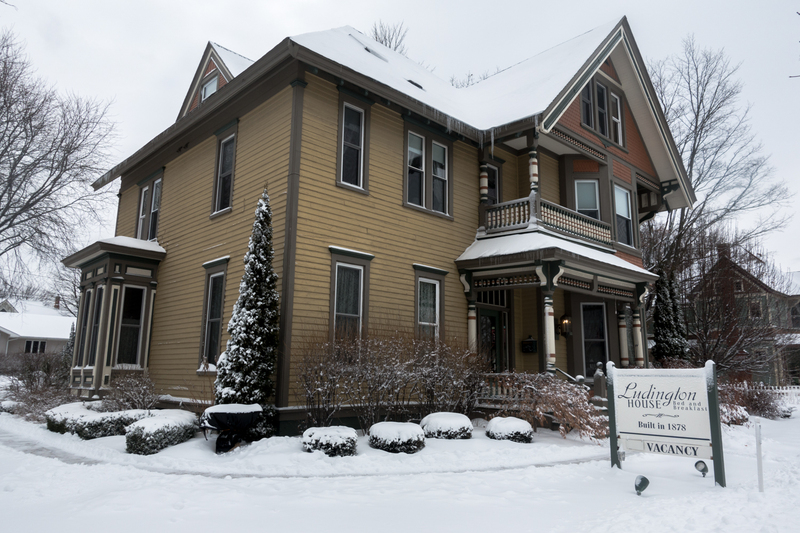 For my winter getaway, I stayed at The Ludington House, a historic Bed & Breakfast. 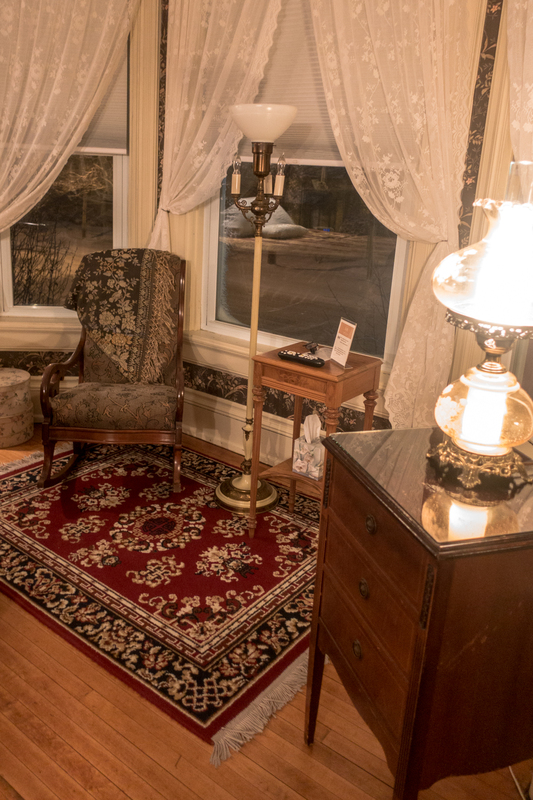 The historic home was built in 1878 by Antoine E. Cartier, a lumber baron who came to Ludington from Quebec in 1852. 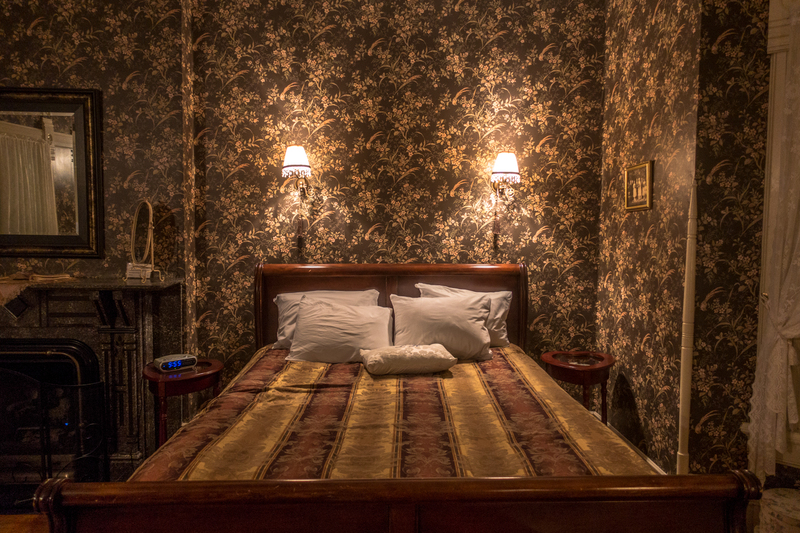 The bed & breakfast is conveniently located a short walk from downtown. I stayed in the master suite, located on the second floor. I loved this room. 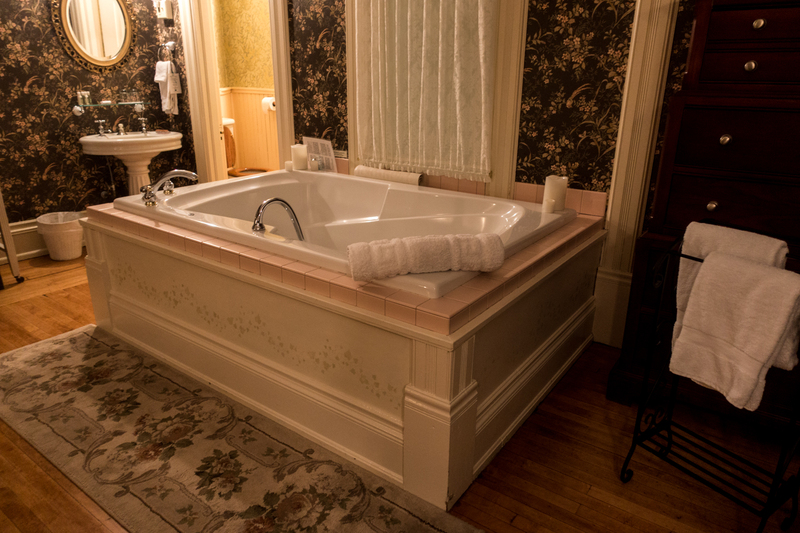 From the original marble fireplace to the whirlpool tub, this was the perfect room to relax after along day of exploring Ludington. 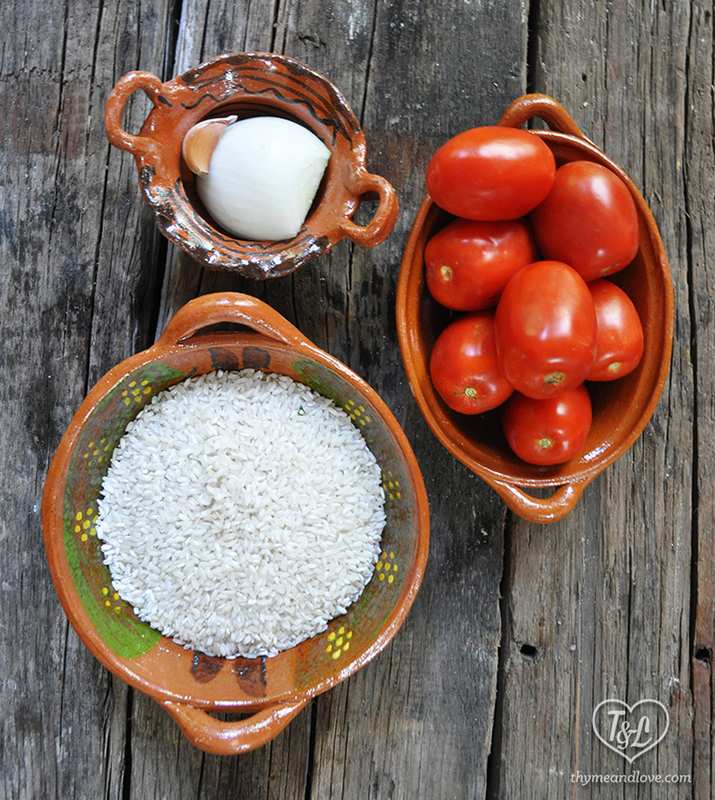 If you have any dietary restrictions, there is no need to worry here! 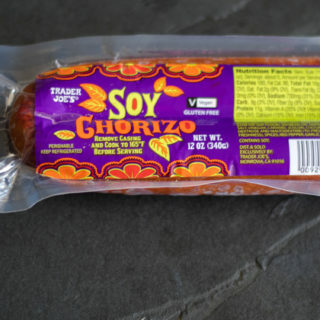 They can accommodate any dietary restrictions. Just be sure to let them know when you are making your reservation. 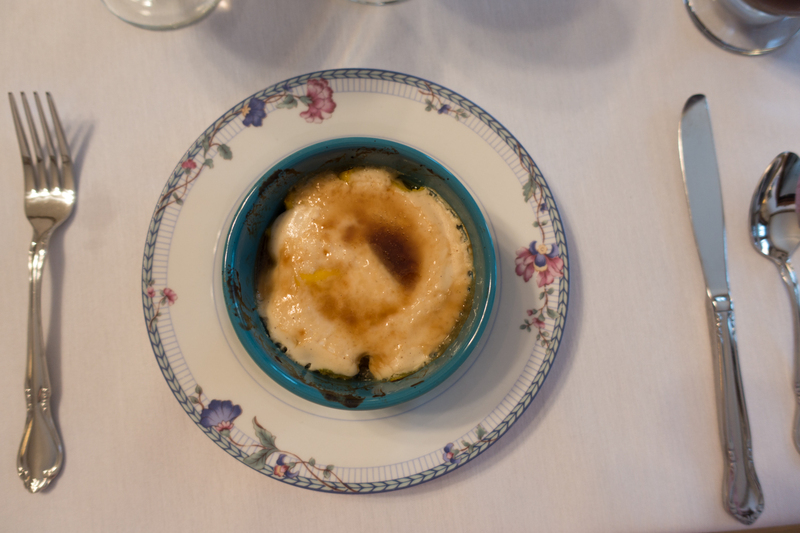 For my vegan breakfast, I had a wonderful mango gratin. 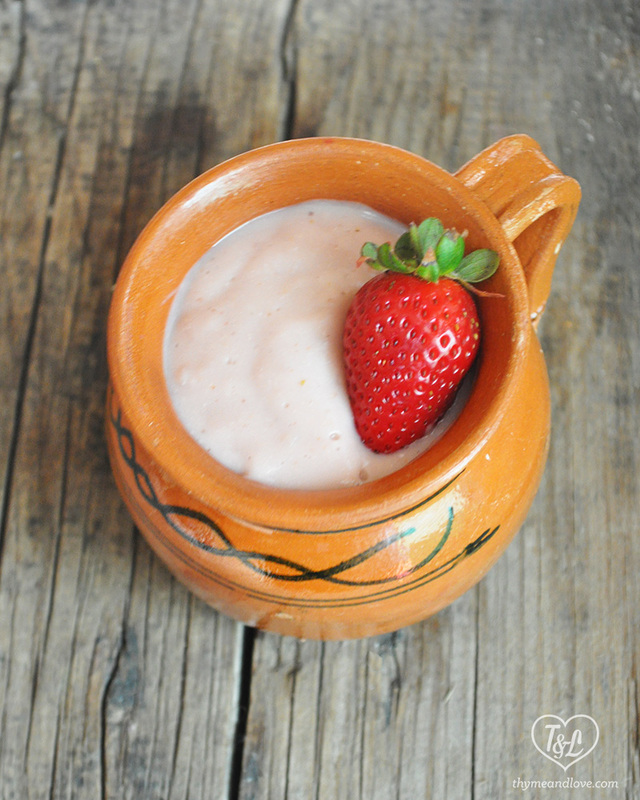 This was a unique breakfast option that I couldn’t get enough of! 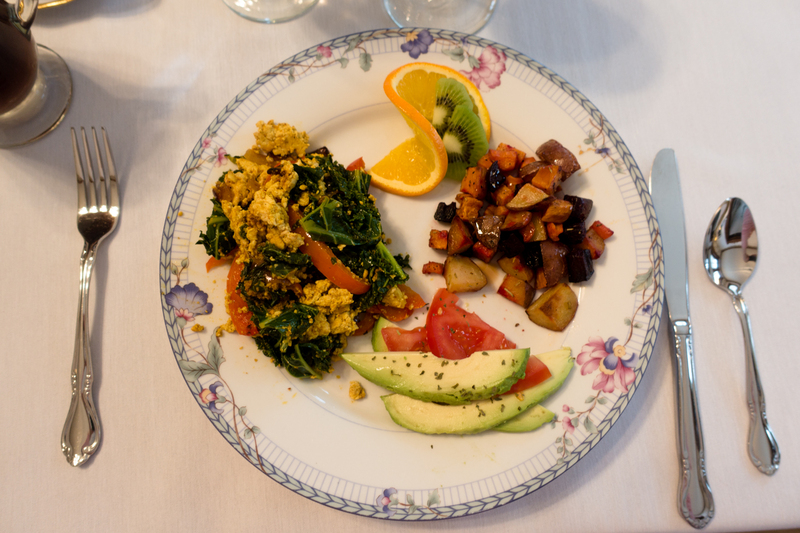 After enjoying the delicious mango gratin, I was served a flavorful tofu scramble with a side roasted root vegetable with a maple glaze. 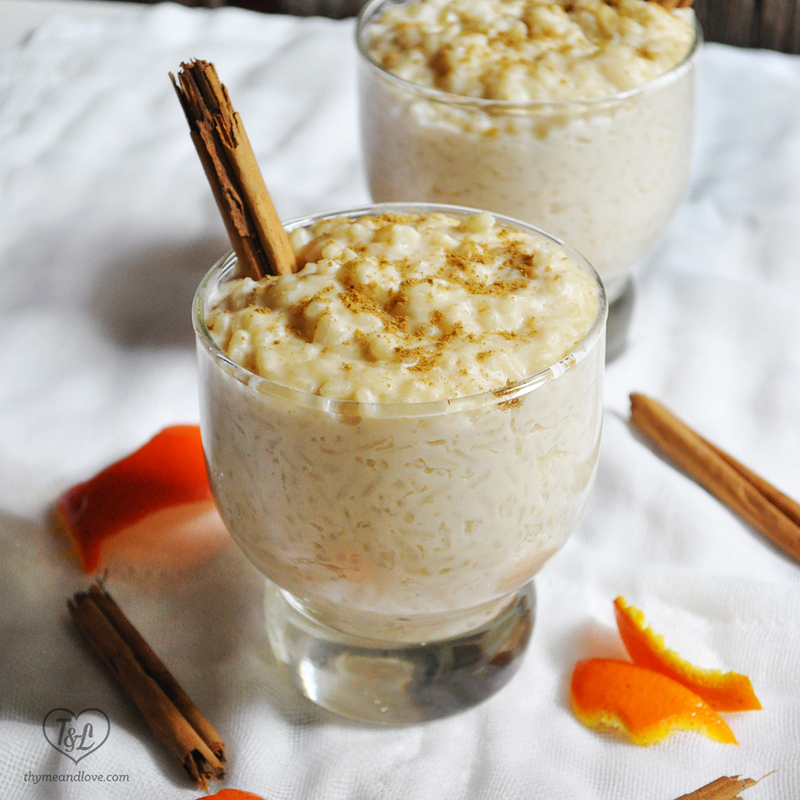 This delicious vegan breakfast was the perfect way to start the day! 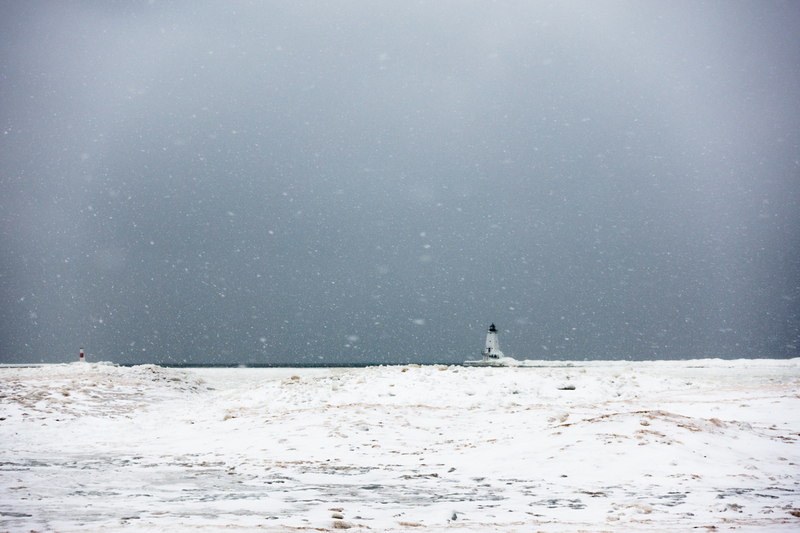 Ludington is the perfect spot for a winter getaway. It is a great travel destination year-round, but there is just something so wonderful about visiting the beach town during the winter. Thank you to Pure Ludington CVB for hosting my stay. All thoughts and opinions are my own. What a great post! I struggle to present our Midwest in the winter. 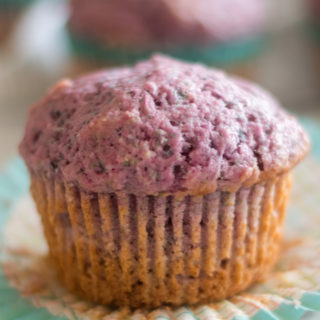 You made it look amazing. The trees look so beautiful during the winter! wow! the lake looks amazing. i do admit i prefer it in the summer 😉 but the photos are gorgeous!